A bike gang hit the roads of Jacksonville Thursday but not the kind you might expect. Called the Brotherhood Ride 2015, 30 bicyclists and 15 support members are traveling across Florida on an eight-day journey dedicated to Florida's fallen heroes. The riders are firefighters, police officers and EMS personnel who ride bicycles to honor emergency responders who have died in the line of duty. The Brotherhood Ride aims to provide emotional and financial support to the families of the fallen on or near the anniversary of their death. The group has been riding for seven years, and have honored the memory and sacrifice of 468 first-responders who have lost their lives. So far, the riders have covered over 5,700 miles through 16 states, hosted and assisted by over 40 Elks Lodges nationwide. Through fundraising efforts, the Brotherhood Rides have raised and donated over $248,000 for families of fallen first-responders who have been left behind. Their rides have taken them to Charleston, South Carolina, Florida, Houston, Texas, New York City and Tennessee. 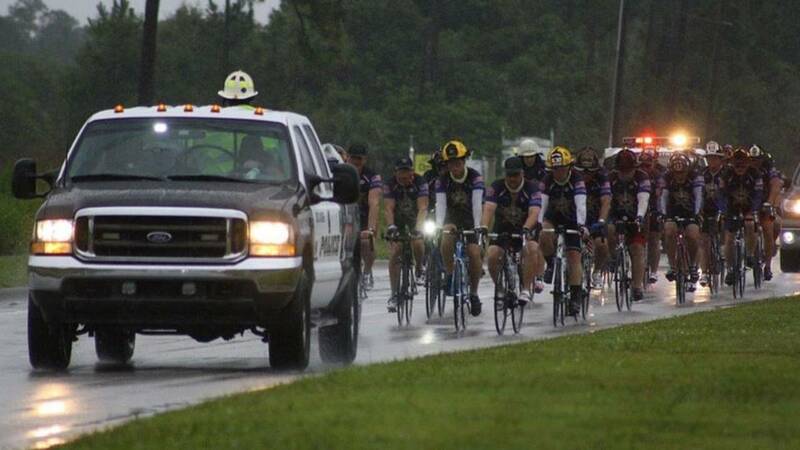 Cyclists on the Florida ride will cover 80-100 miles a day, stopping at local fire departments and law enforcement agencies in North Port, Tarpon Springs, Brooksville, Orlando, Palm Coast, Live Oak, Tallahassee and Jacksonville. The Brotherhood Ride has a link on its website, brotherhoodride.com,that allows people to track the riders' progress using "SPOT" and a global positioning satellite. People interested in helping the Brotherhood Ride reach its goal, can go to the group's website, or Facebook page, to make a donation or purchase t-shirts, or by contacting the group to become a sponsor.